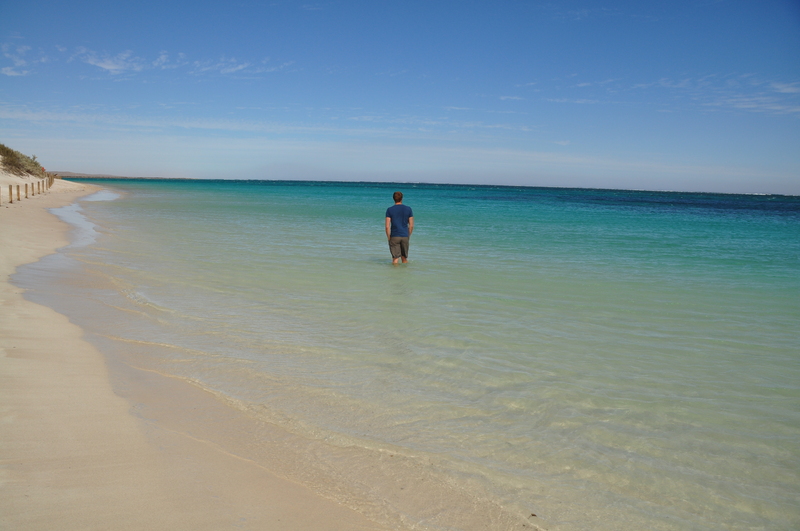 The ‘Ningaloo Reef’ – we’d been dreaming of this destination for a long time and couldn’t wait to get there. 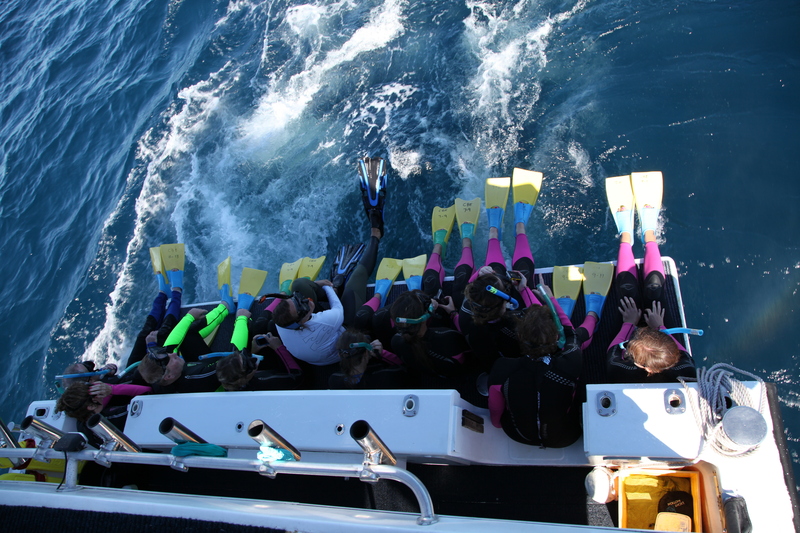 The spectacular reef and its abundance of marine life earned itself a World Heritage status in 2010 so the snorkelling, combined with the prospect of finally being able to swim with Whale Sharks (which had been #1 on our bucket list for many years) meant excitement levels were going through the roof! The Cape Range peninsular itself is pretty bleak – a sparse rocky landscape – it’s definitely what’s under the water, than what’s above it that makes this place so amazing! Exmouth, a typical cyclone prone town of unremarkable 1 storey buildings thrives off the Whale Shark tourism. Holding the monopoly over an experience that it is ‘once in a lifetime’ for many, prices are around $380 per adult!!!! It seems that ‘living the dream’ certainly comes at a price. We headed round to the National Park and unaware of the booking system for the park campsites didn’t realise that most campsites are booked out weeks in advance. Fortunately we managed to rock up in our usual last minute style and secure one of the last spots available at Yardie Creek – apparently the previous tenants had packed up a week early due to the strong winds. At this point, i think our over-excitement had made us oblivious to the strong gusts of wind as we were just thrilled not to have been turned away at the park gate! The weather forecast wasn’t looking great so we thought we’d sit things out for a couple of days and book a whale shark trip in for later in the week when hopefully the wind would have died down and the sea wasn’t so rough. We set up camp for our first night at Yardie Creek and enjoyed beers at sunset with the rest of the campers onsite. The camping community is always a wonderfully random assortment of people from all walks of life – it makes for fascinating chats over sundowners. We picked up lots of great tips of where to go next as well places to avoid – as we headed back to camp the wind had really picked up and we began to wonder whether we were heading for the same fate as those who were camping here the night before. The wind got stronger and stronger throughout the night and trying to sleep was impossible – being in a rooftop tent in gale force winds was like being in a small plane in turbulence! We were literally hanging on –the car was rocking in the wind making the whole tent shake and you could feel the wind rushing beneath us between the tent and the car – and the noise of the heavy duty canvas windows and doors flapping was deafening combined with the worry that the tent might shred itself to bits meant we had a long sleepless night. Fortunately our South African Echo Rooftop tent is made of strong, heavy duty canvas, so survived the wild weather much better than we did! Mind you, as we much we love our Roofie, we were jealous of those camping lower to the ground as the wind didn’t die down for 3 days!! Despite the weather, we still spent the days venturing out to the main snorkelling sites Turquoise Drift & Oyster Stacks – which were both some of the best snorkelling we’ve ever done – and straight off the beach! Turquoise Drift is particularly good as you can walk straight in off one sand bar and let the currents sweep you across to the next one. The water, was teeming with colourful fish and corals and we even saw a number of turtles – fortunately it was pretty warm whilst in the water, but once out we had to huddle in the car with copious amounts of hot tea to warm up. It all wasn’t just watery adventures – whilst packing up one morning a guy came running over to say he’d got bogged in the sandy creek crossing and could we pull him out. It was like music to Richard’s ears and if there’d been a phone box around, i’m sure he’d have run into for a quick change into his Superman outfit – he just loves a rescue! However, there wasn’t one, so minus cape we set off to the creek to rescue the stricken father and his 3 children. Was good to be on the other end of the tow rope this time! 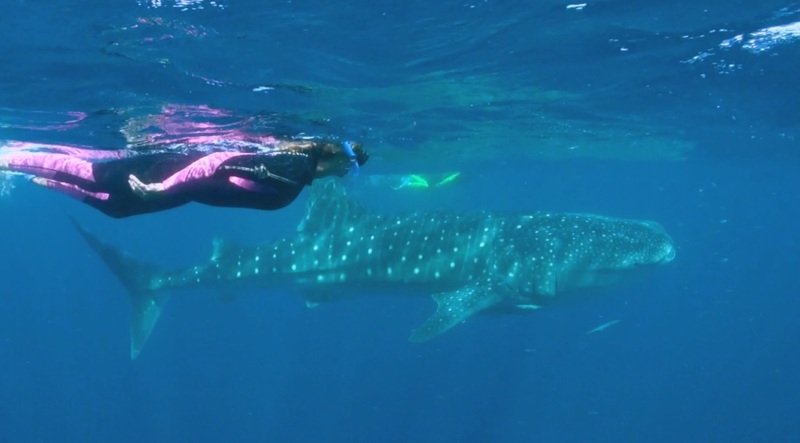 Finally our Whale Shark day had arrived and we were up early and ready for our pick up to go to the marina. The weather was still awful and now the wind was accompanied by driving rain, but we were still keen to go no matter what! Our pick up time came and went and after an hour we decided that the trip must have been cancelled due to the conditions, we had no way of knowing as there is no phone signal, so feeling deflated we packed up the tent and left the camp – we weren’t sure when the next trip would go out and we really needed to start heading south. We drove 40km to the nearest phone box and rang the tour operator to work out what to do next. What followed was the most infuriating conversation, establishing that no, the trip had not been cancelled, we had simply been told the wrong pick up point!’ The blasé nature of the tour operator only fuelled the fire, insisting that we had got it wrong, not her. Raging by this point, that not only had we stuck it out in the wild weather for this trip and were now facing the possibility of missing out on a lifelong dream and hadn’t even had an apology we hung up the phone and headed the 80kms back to Exmouth to the office to have it out. Fortunately her manager took over when we arrived but despite her efforts there was no other availability for another 3 days so refunded our trip. We were gutted. Everywhere else was also just as booked up, but remembering that a guy we’d met at the campsite had done the trip from Coral Bay, we called the Eco Tours company down there and to our surprise they had 2 spots left for the next day! 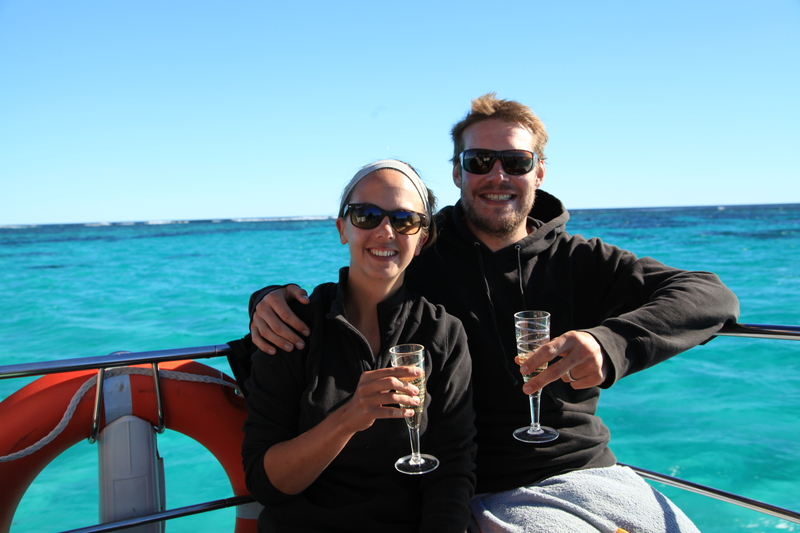 The anger soon subsided as we sped down to Coral Bay – so relieved that our Whale Shark experience was back on the agenda.